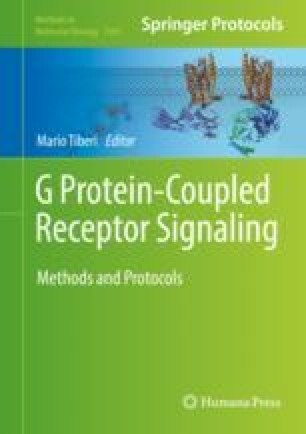 G protein-coupled receptors (GPCR) are crucial transducers of extracellular signals into changes in vascular tone. Vasoactive GPCR stimulation in the pulmonary circuit may be elicited by agonists released in acute tissue hypoxia or inflammation, as well as chronic disease. Acute responses involve activation of smooth muscle contraction or relaxation machinery causing changes in actomyosin interaction, thereby altering lumen diameter. Chronic responses may typically include activation of proliferation or fibrosis. Using pulmonary artery myocytes and pulmonary artery rings, we describe a general strategy for quantification of vasoconstrictor or vasodilator GPCR responses, and for comparison of signaling pathways in cultured cells and in contracted vessels using immunohistochemistry of contracting vessels. Supported by a grant-in-aid from Heart and Stroke Foundation and a mid-career operating grant from Research Manitoba (SD).